This pencil art by Billy of Kyle Ryde riding the Puccetti Racing Teams’ Kawasaki ZX-6R is being used to raise money to help fund Kyle’s 2017 World Supersport campaign. Kyle will receive 50% of all print sales and will co-sign all the pre-ordered prints. 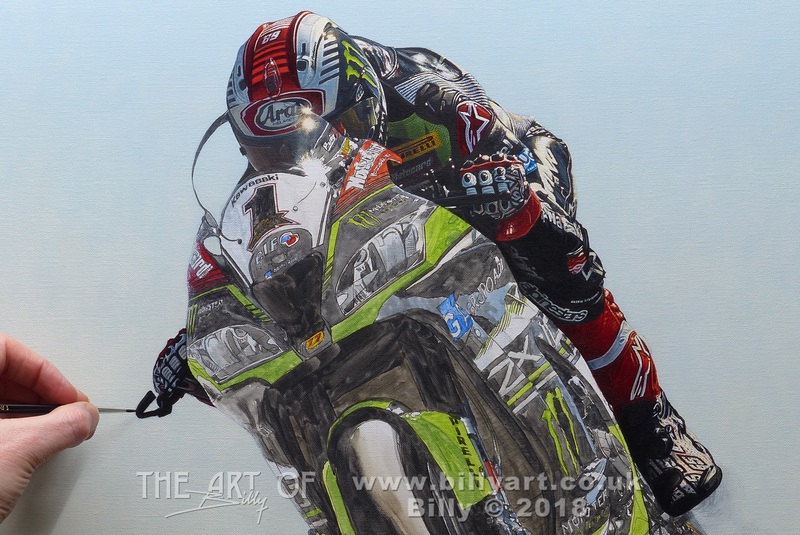 This entry was posted in Motorcycles and tagged Billy, Billy Art, billy the artist, Drawing, kawasaki, Kyle Ryde, Puccetti Racing Team, time-lapse, World Supersport, WSBK, WSS, ZX6r on 23/03/2017 by billy. This has been a very long time in appearing but finally I have started ‘The Art of Bily’ blog. So here I will post my ramblings on art related subjects and some things that may be on my mind. 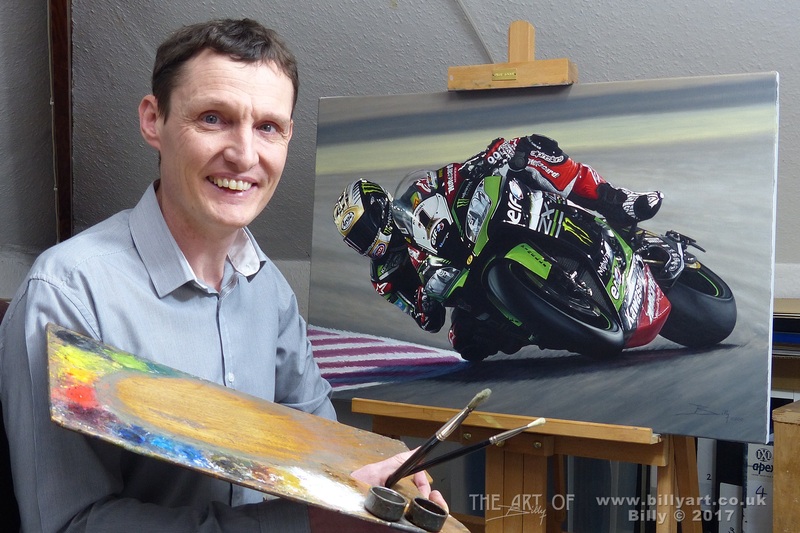 There will be all updates on my own art which is mainly within motorsport subjects of F1, MotoGP, BSB, WSBK, BTCC and Road Racing. In the picture you can see me with my oil on canvas painting of History Maker Marc Márquez which you can view more full on my website along with my other art. 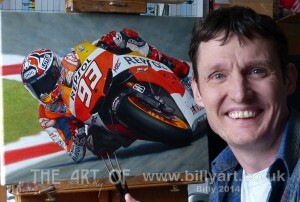 This entry was posted in The Art of Billy Blog and tagged Art, BSB, BTCC, F1, Marc Márquez, MotoGP, Oil Painting, Road Racing, WSBK on 27/04/2014 by billy.